Wohoo! Winter is finally here. 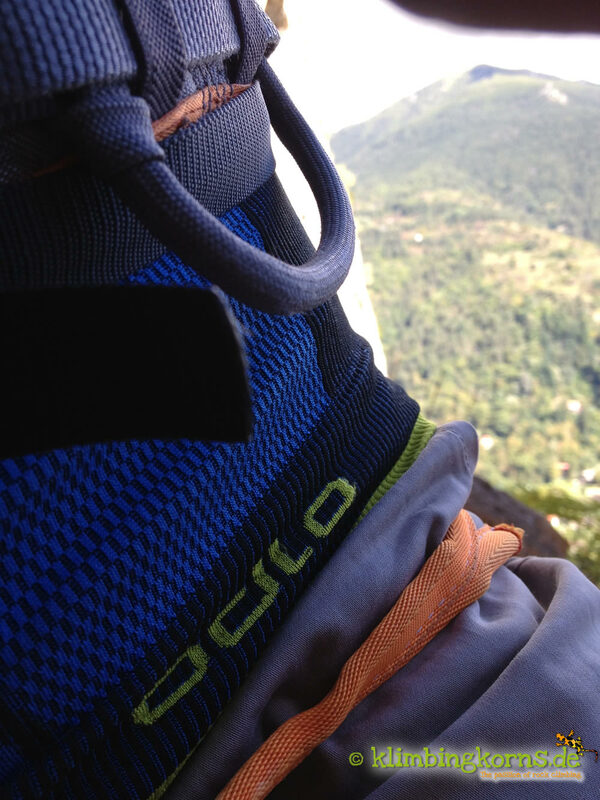 Cooler days are great for better grip at the crags and outdoor activities. 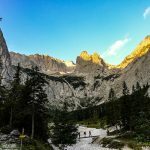 Enjoy your sports for extra long hours outdoors,and keep all that warmth in your body while you pleasure in colder environments. 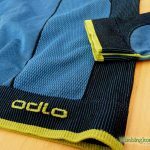 I have been using ODLO garments for quite sometime now. 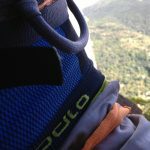 I first came across this brand when I was searching for clothing to cross country ski. 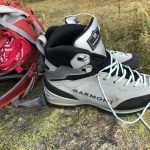 Since then, I use them throughout the year, for climbing and skiing. Their garments are soft, not itchy and very polyester and comes in shirts, pullover, tights. Polyester… which also meant washing these garments frequently, especially after sweating profusely. I am highly sensitive to odour and feel generally uncomfortable when I think my table opposite can smell me. 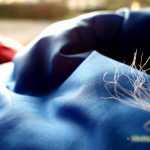 It is a known fact that polyester reacts sensitively to sweat and together with the bacteria, it causes a chemical reaction to which we humans will name as “stink”. That was when I started to look for “no stink” natural alternatives in the market that does not need much washing. Along the way, I came across ODLO’s Evolution series. 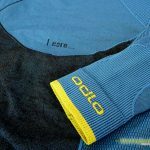 ODLO’s sustainable Greentec Evolution functional Wear which won the Plus X Award 2012 and Outdoor Industry Award in 2012 are out of 100% recycled Polyester, has an ergonomic fit, a raglan cutting, seamless stitching, and it’s “Effect by ODLO ” reduces odour to the minimum. Silver ions, used in this garment is the secret to killing the odour culprits. 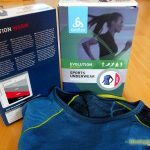 Functional zones in the shirt and tights ensure that moisture is transported away from the body, keeping it warm with the roughened interior texture. 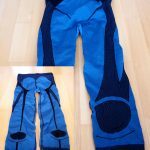 Flat stitching and seamless integrated zones make wearing these garments comfortable without any twitch, at any time. The Evolution tights comes with a tie-able cord at the waist, without the usual elastic band. 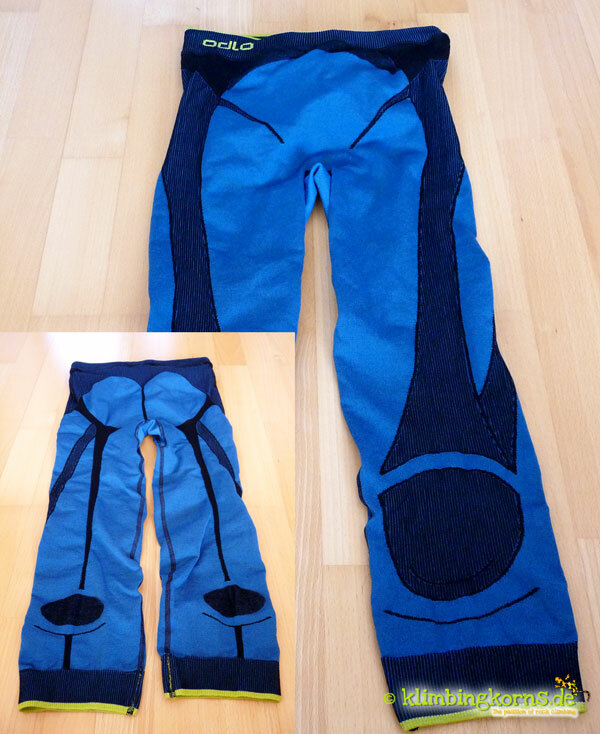 The design is modern, tight-fitting and stretchy. 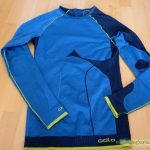 ODLO’s Greentec garments (and packaging!) are sustainable. 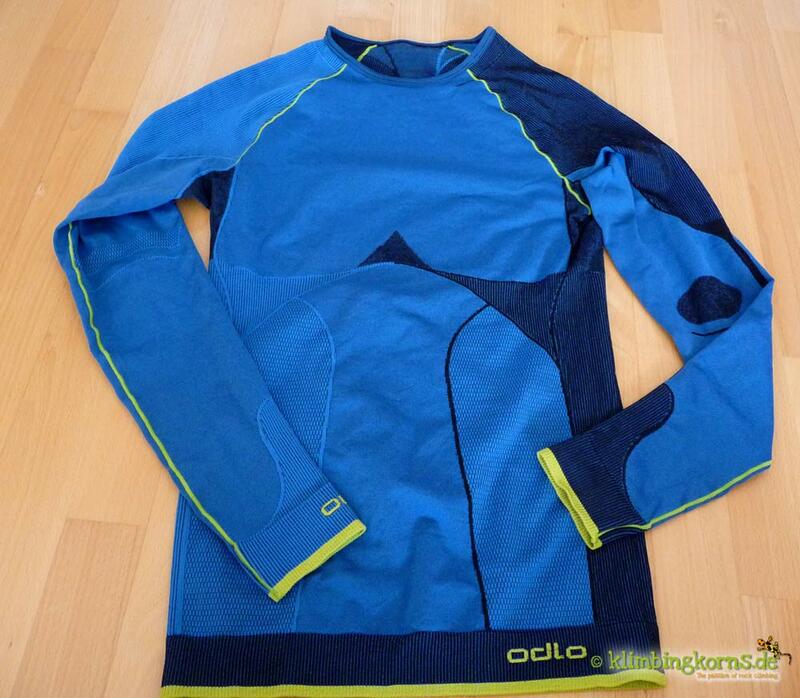 Instead of using Elasthan, ODLO uses PBT (Polybuthylentherphtalat) to ensure the elasticity in these garments. 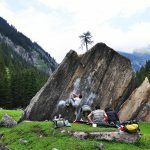 Therefore, the Greentec garments can be recycled to a 100% without having to break up the differant materials beforehand. 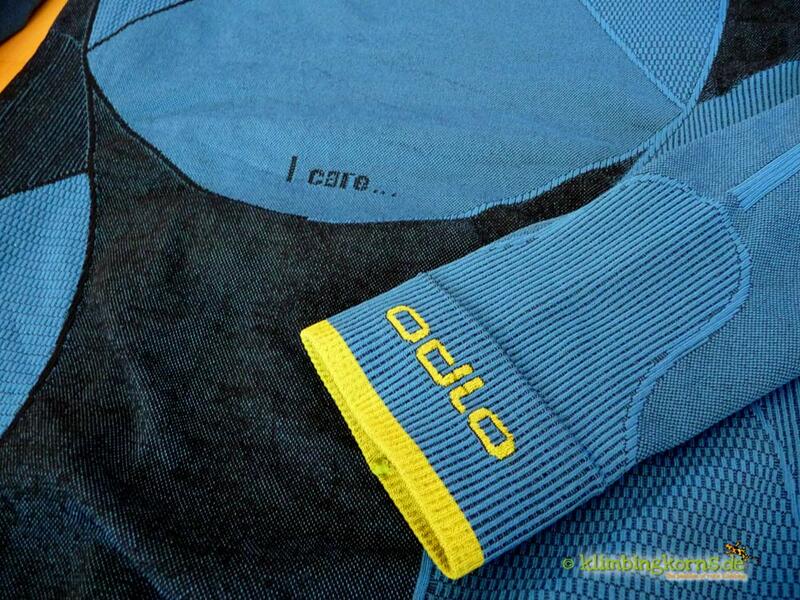 “I care” – words that mean a lot for environmental awareness are embroided on the shirt. You can at anytime return these garments to any ODLO store and have them recycled. My ODLO was used on many active occasions, and I am glad to say that I never had any odour problems that made my self-consciousness sank. 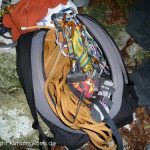 I used it on long approaches to the walls and on long idle moments in icy cold conditions while climbing. (No winter breaks for us, mind you!) 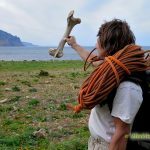 I loved wearing it as a base layer below my favourite t-shirt, the tights were great even while climbing under the usual climbing pant, without inhibiting any movement. 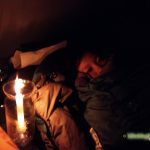 It was highly breathable and very warm (I had the Warm base layer for extra long idle situations) Washing was never a problem with this garment. It withstands a 60°C wash, but my washes with 40°C were more than sufficient to get things clean. It’s seldom I spend the day in the mud. It was light, even when wet. 290 g on the weighing scale. The shirt went nicely over the hips and you didn’t have to worry about pulling them down every time you lift up your arms. The Collection is available in the quality Warm. Light, X-Warm and Cool will be available in the market in 2014. 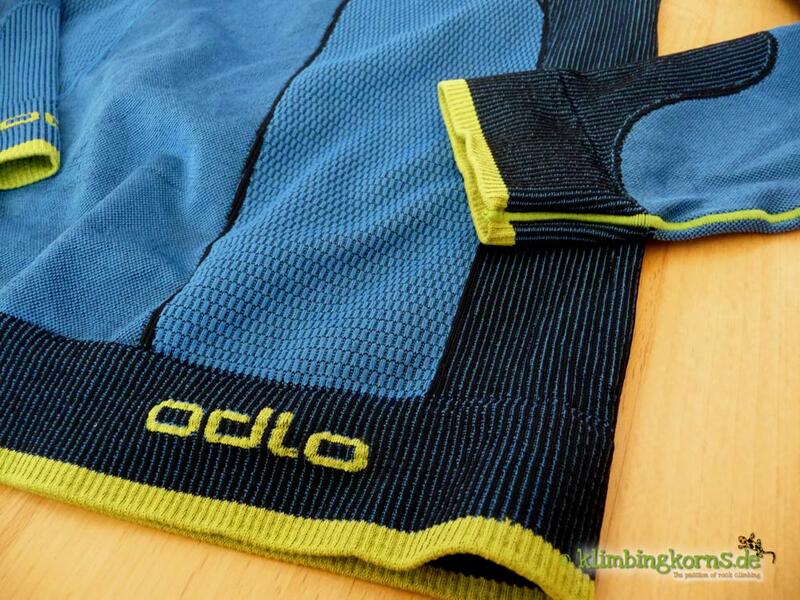 ODLO’s Evolution series comes in short sleeve, long sleeve shirts, 3/4 and full tights. 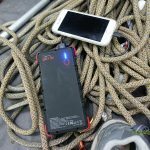 It works out great for active sports like hiking, biking or alpine skiing as well as for moments when you stand idle in cold conditions at the north face crag or snow bars. The recommended retail price lays at 74,95 EUR for the long-sleeved shirt, the long pants costs the same. Sizes ranges from XS to XL. 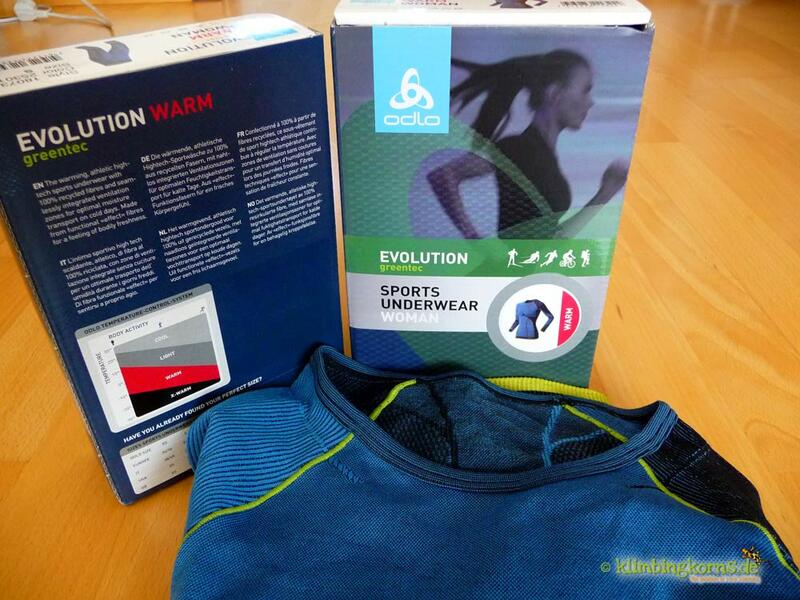 Not a wrong decision and ODLO offers a wide range of undergarments for everyone outdoors.